Sri Lanka President Maithripala Sirisena on Saturday suspended parliament, deepening political turmoil after he sacked the country's prime minister. In a statement, Parliamentary Speaker Karu Jayasuriya called for calm and restraint and for the crisis to be resolved quickly. European diplomats in Colombo said they were closely following developments and urged both sides to act in line with the constitution, echoing comments made by the United States. "The ambassador of the European Union as well as the ambassadors of France, Germany, Italy, the Netherlands, Romania and the UK High Commissioner ... urge all parties to fully act in accordance with Sri Lanka's constitution," they said. They also urged the rivals to refrain from violence and respect media freedom. 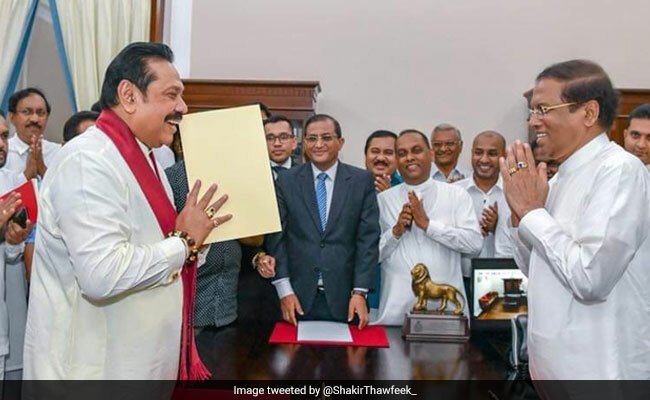 Reports have said supporters of former strongman president Mahinda Rajapakse stormed several state media institutions and intimidated staff after he was sworn in as the new prime minister on Friday night.